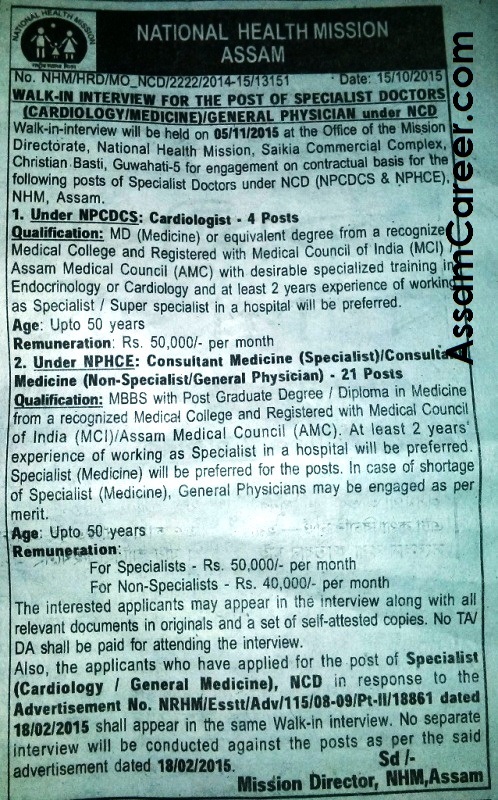 Walk in interview will be held on 05/11/2015 at the office of Mission Directorate, National Health Mission, Assam, Guwahati for engagement on contractual basis for the following posts of Specialist Doctors under NCD (NPCDCS & NPHCE), NHM, Assam. How to Apply: Interested candidates may appear in the interview along with all relevant documents in originals and a set of self attested copies. Pl view the following image for more details.